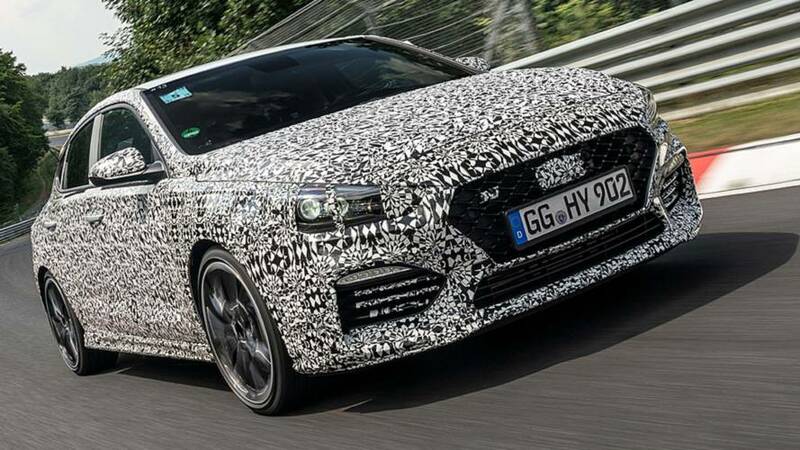 Hyundai will add even more performance to its European range later this year with the launch of the i30 Fastback N. According to the company, the engineers are now performing the "final stages of development" at the Nürburgring Nordschleife and the roads that surround the famous circuit. 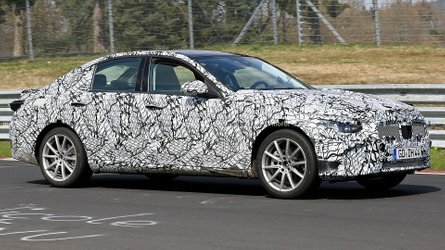 While Hyundai isn't yet revealing much official info about the i30 Fastback N, spy videos, like the one above, give us an idea of what to expect. The powertrain likely comes straight from the five-door i30 N by offering either 271-horsepower (202-kilowatt) or 247-hp (184-kW) tunes of a 2.0-liter turbocharged four-cylinder. The more powerful mill should hustle the Fastback to 62 miles per hour (100 kilometers per hour) in around 6 seconds. 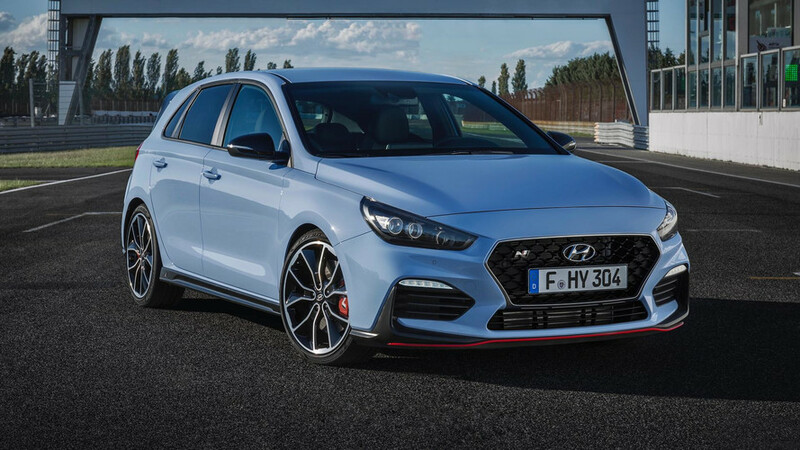 A six-speed manual would be available at launch, but Hyundai intends to add a dual-clutch gearbox to the i30 N in late 2019. This transmission would very likely be an option in the Fastback, too. Up front, the i30 N Fastback looks a whole lot like the hot hatch. 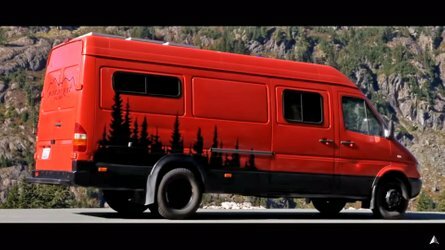 The big change is the sloping roof that lends a sleek look, and there's a prominent spoiler sticking up from the back. An exhaust outlet with a polished tip emerges from each corner of the rear end. 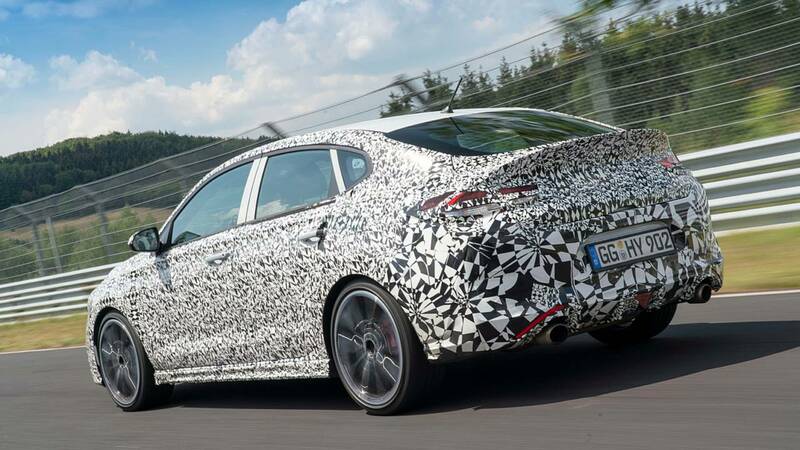 Rumors suggest the i30 N Fastback could make its grand debut at the Paris Motor Show in October. Sales might not begin in Europe until early next year, though. 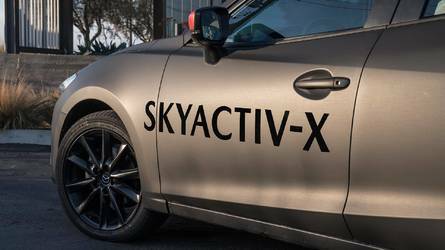 While it won't be available in the United States, the Veloster N will be available to Americans with the 275-hp powertrain at the end of the year. Best of all, the Veloster hot hatch's price will reportedly undercut rivals like the Volkswagen GTI. 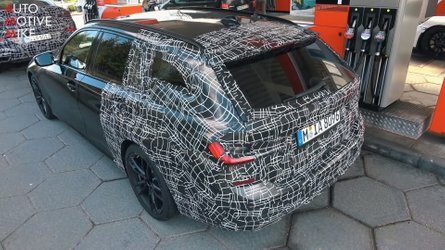 July 24, 2018- Hyundai Motor is in the final stages of development of the next model to join its expanding range of high-performance cars wearing the N logo: the New i30 Fastback N.
Prototype testing is now well under way, including extensive assessments on a variety of road surfaces around Europe. Among the testing locations is the famous Nordschleife circuit at the Nürburgring in Germany, where Hyundai has its own technical centre. 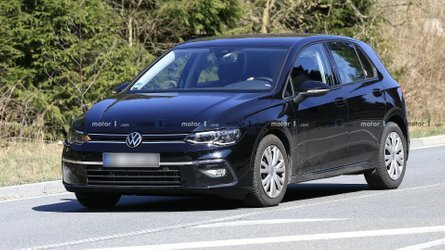 The track and the public roads around the region are among those used to evaluate performance and durability, helping to prepare what will be the third N model, after the five-door i30 N and the Veloster N.